The monument stands immediately south of the bridge over the Sundays River on the west side of the road. 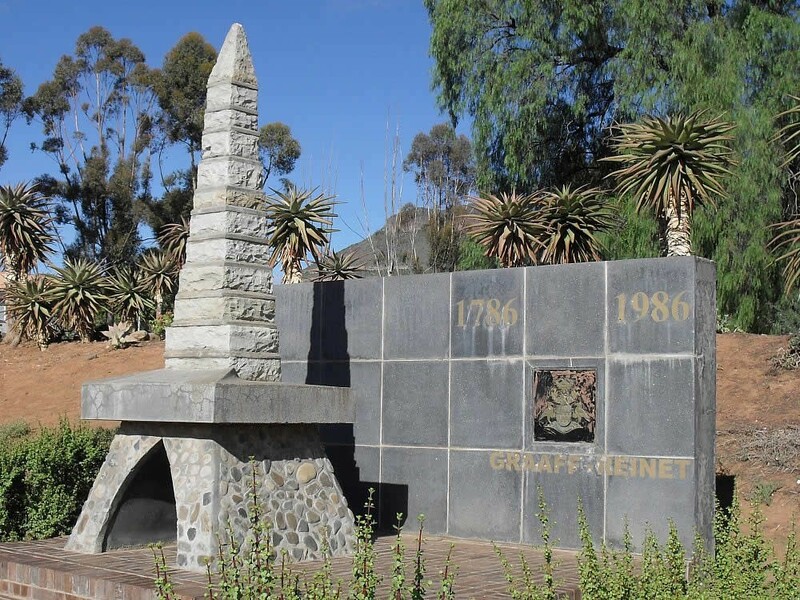 At the lower end of Church Street ia a scaled-down replica of the Paardekraal monument which was a gift from the Town Council of Krugerdorp to Graaff-Reinet during the celebrations in 1986. It was presented by Mr C. Peyper, the mayor of Krugerdorp. The farm Paardekraal, on which Krugersdorp was established in 1887, was once owned by Andries Pretorius, the Voortrekker leader from Graaff-Reinet.